Venus - Venus is the second planet from the Sun and the most similar planet to Earth in terms of size. Like Mercury, and unlike the rest of the planets, Venus appears in different phases similar to the phases of the Moon. 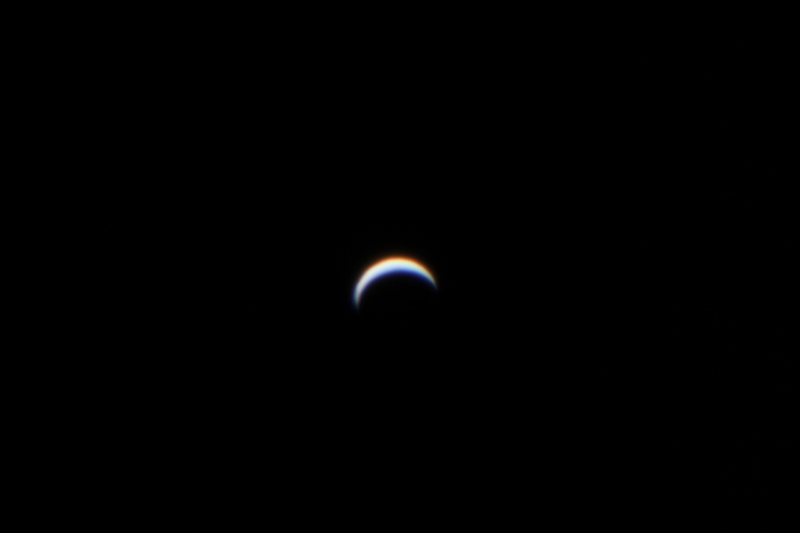 This photo shows Venus in its crescent phase, which appears larger than the more fully illuminated phases. Venus appears quite bland in pictures taken from Earth as practiacally no details appear. This is because Venus is surrounded by a thick carbon dioxide atmosphere, which obscures its surface features.